Hangouts Meet, the next generation in enterprise video meetings. 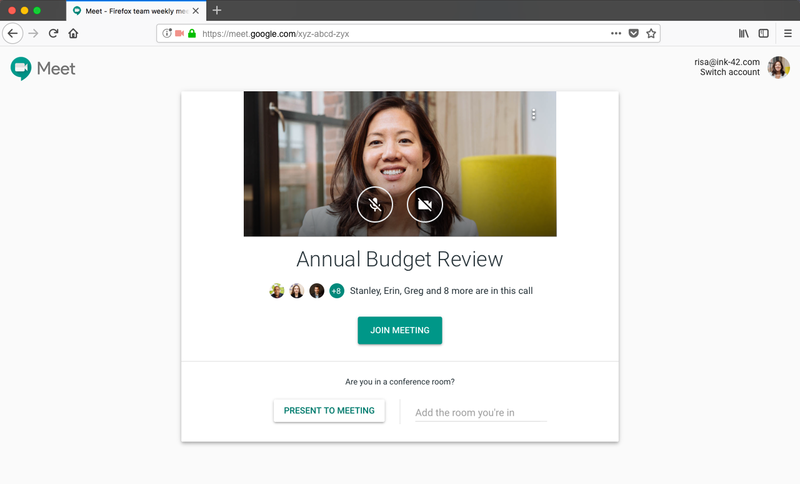 After continued positive feedback from our customers who have begun using Meet, starting May 29th, we’ll enable Hangouts Meet for all G Suite domains that are automatically upgrading on Google’s recommended schedule. 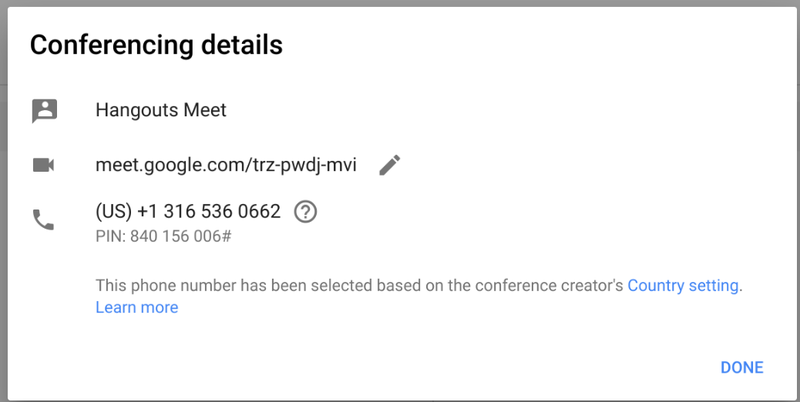 This means that all newly created Google Calendar events will contain Meet video meeting details. Previously created meetings will not be impacted with this change. Additionally, to ensure your domain has a seamless transition to Meet, we've added Meet compatibility with Firefox (starting on version 60). Unlike in classic Hangouts, Meet uses native WebRTC protocols so that it does not require any downloads or plugins when using Meet in Firefox. To learn more about these changes, review the details of the transition plan and the differences between classic Hangouts video calls and Meet in the Help Center. You can also refer to our Meet deployment guide for materials to communicate these changes to your users. In March 2017, we announced Hangouts Meet, the next generation in enterprise video meetings. After continued positive feedback from our customers who have begun using Meet, starting May 29th, we’ll enable Hangouts Meet for all G Suite domains that are automatically upgrading on Google’s recommended schedule. This means that all newly created Google Calendar events will contain Meet video meeting details. Previously created meetings will not be impacted with this change.